Basic top Talco (off white) created from two different layers of floaty viscose fabric. Closely fitted at the top, then draping loosely towards the hem. To match a wide range of trousers and skirts. 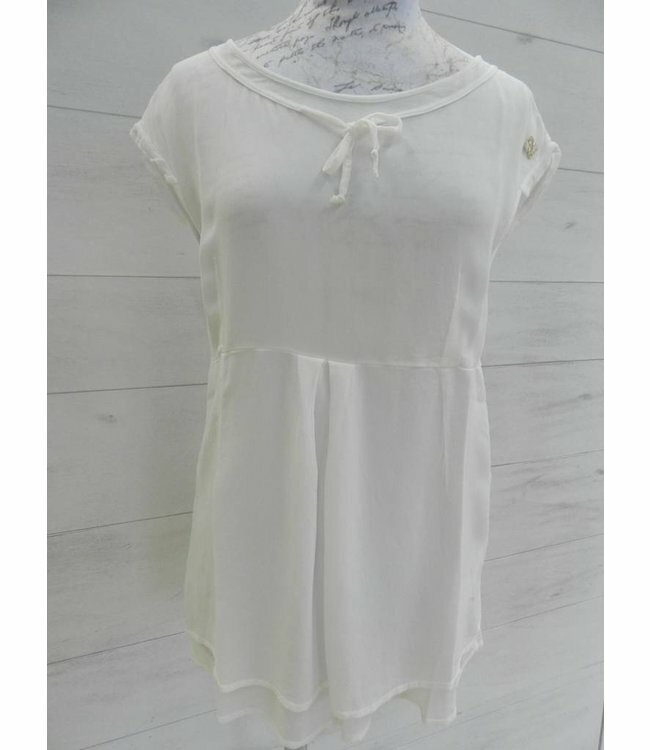 Basic top Talco (off white) created from two different, floaty layers of viscose fabric. Closely fitted at the top, then draping loosely towards the hem. To match a wide range of trousers and skirts.